Often, we have to advocate to our lawmakers for the people we serve. Whether it be calling those who represent us in congress or attending events at the capital or elsewhere, our work is never done. Do you want to be a part of that? There is strength in numbers and we love it when people join us in our advocacy. On March 13, hundreds of Minnesotans gather at the capitol to meet with legislators to speak with them about the issue of homelessness and to ask them to support our work. View all the event details HERE. Habitat on the Hill is a day for Habitat supporters from across Minnesota to join together and advocate for affordable housing. Participants will spend the morning hearing from Habitat supporters and legislators about the importance of affordable housing. A light lunch will be provided for attendees, and later in the afternoon, participants will have the opportunity to meet with their own legislators. More info and registration HERE. Welcome to the first of many announcement letters about the state of housing, hunger and mental & chemical health policy and advocacy in Minneapolis, Minnesota and beyond! As you know, policy and advocacy are important pieces to House of Charity operations, along with moving the needle on central issues that impact our clients and ourselves. These announcement letters will not only update you on what’s going on- but give you info, tips and tricks to flex your advocacy muscles! I challenge assumptions people make about the homelessness, mental and chemical health, and hunger. If you’ve checked ANY of the above boxes you ARE an advocate. ADVOCATE = To speak or write in favor of; support or urge by argument; recommend publicly. How does House of Charity Advocate? House of Charity is an ACTIVE organization in Homes for All! Homes for All is a nonpartisan, statewide coalition of more than 170 non-profit organizations (Including House of Charity), for-profit partners, and local governments. Homes for All advocates at the Minnesota Legislature for more state funding and better policies that will lead to housing stability for all Minnesotans. The goal is to ensure people are able to find and keep safe, stable, and affordable housing. They put on the Homeless Day on the Hill event in March! All organizations involved with Homes for All voted on the 2019 legislative agenda! One policy DIRECTLY IMPACTS House of Charity! Increase in GRH base rate (increased from $893 to $993). This is what funds room and board for OUR residents! This policy will serve approximately 3,000 persons throughout the state who have experienced long term homelessness, including our residents. #2: The Legislative Session Has Started! First Day of Legislative Session! Your legislators are in the building! Let’s get excited to connect with those who represent us at the capitol! We will get to talk directly to them in March at the Day on the Hill event, but before that, we can prepare our stories, learn about policies and more! Part of the Homes for All policy agenda is the increase in GRH base rate (from $893 to $993–up by 100). This is what funds room and board for OUR residents! You can get excited with the Home for All team at kick-off evetns! Join Homes for All for appetizers, networking, and a short program to kick off our priorities for this legislative session at the following dates and times. Edit and send a letter to your lawmaker! See my example letter HERE! Watch THIS intro video about the policy agenda! We all become advocates in different ways. Some have personal experience, some work with those in need. No matter how we came to it, we know the truth about housing, hunger and mental and chemical health. We have seen it. We may not know how to solve it, but we want to be part of the solution. Dissect the thoughts that come with the fear. Are they true? What’s the next step outside your comfort zone? Does advocacy require public speaking? No! Check out the training below to learn more about what advocacy does entail. Show up for housing now! When advocates show up for housing, legislators take note. Show your support as the House Committee on Housing Policy and Finance hears the Homes for All MN 2019/20 agenda. Then at 11am, join Homes for All for a press conference in the Capitol Press Conference Room (B971). Sign up to advocate HERE! 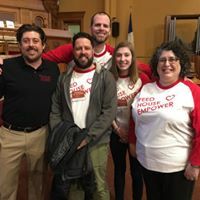 While housing is important (especially this year), House of Charity also focuses on hunger advocacy as “feed” is the first pillar of our mission statement. One such organization leading the charge on this is Hunger Solutions! HERE is their full legislative agenda. The Good Food Access Program helps establish permanent facilities for the sale of healthy, affordable food in areas of the state where better access is needed. The program provides grants, loans, and technical support for food-related enterprises such as new and improved grocery stores, mobile markets, farmers markets, fresh food refrigeration, and other innovative community-driven solutions. “Quotas” are used by legislators to determine what needs their attention. One call from a constituent on a topic won’t make a quota, but 50 calls on that same topic is a different story! Sign up for action alerts to be one that helps an issue reach the quota! Sign up for action alters from Homes For All! Sign up to advocate at the capitol! In March you will be face to face with your legislators at the Homeless Day on the Hill! Let’s start thinking through what you will want to say. Have you ever experienced homelessness? Did you have to move around a lot as a child? Would you consider your home stable? Do you have access to a park? Can you walk to your nearest grocery store? Why does preserving affordable housing, increasing emergency services or presenting homelessness matter to you? Housing Hearing at the Capitol! The Homes for All legislative agenda hearing was held at the capitol on Wednesday January 23rd. Check out the moving testimonies. We are so excited to advocate with you all at Homeless Day on the Hill this year! If you are registering others, keep in mind that you will need to do so by adding them as guests on your own registration form! 10:00 AM – 3:00 PM – @ the Capitol advocating! What: Advocacy training, legislator meetings, and more! Click here and register now! Click here for the Facebook Event! 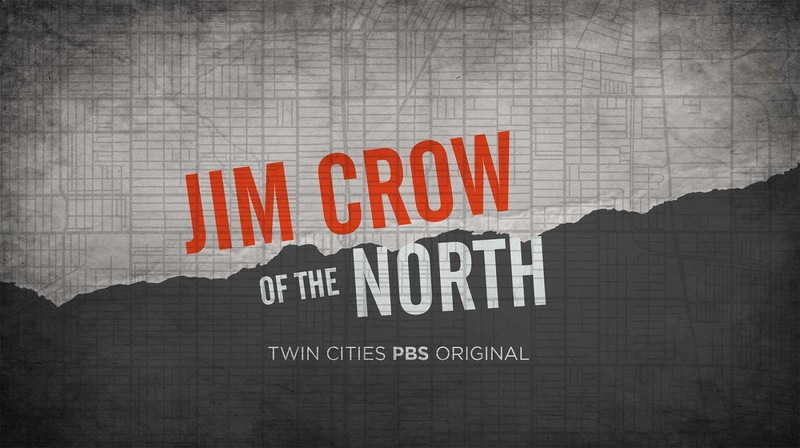 Attend a free advance screening on February 18 of Jim Crow of the North, a Twin Cities Public Television documentary film that is based on the work of the Mapping Prejudice Project at the University of Minnesota. The film is about 60 minutes in length and will be followed by a 30-minute Q&A with the producer, Daniel Pierce Bergin, and Kirsten Delegard, Mapping Prejudice Project Director. When: February 18, 12:00 to 1:30 p.m. 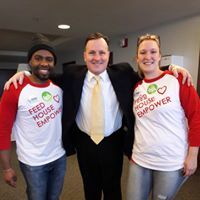 While housing is important (especially this year), House of Charity also focuses on Mental Health Advocacy as “EMPOWER” is the final pillar of our mission statement. One such organization leading the charge on this is NAMI (National Alliance on Mental Illness). See their legislative agenda HERE. Let’s get more excited for Homeless Day on the Hill! Where we call home affects… the groceries we buy, the schools we send our kids to, the pollution we inhale, the stability we feel, the number of sick days we have to take. Check out the following Homes for All one-pagers! Click Here for the Homes for All 2019-2020 Legislative Agenda One Pager. Family Homeless Prevention and Assistance Program (FHPAP) – Funding to serve adults, youth and children at risk of experiencing homelessness. The State of Minnesota is developing its annual Action Plan for 2019 and encourages citizen and community partici­pation in its development. The community is invited to attend a theater performance of Stories from the Book of Harbor Light, on March 15th at Hennepin Theatre Trust, 900 Hennepin Avenue, Minneapolis. A reception at 5:30 p.m. will be followed by the performance at 6:00 p.m. The troupe includes clients of the Harbor Light Center, who will transform their stories of homelessness into a performance designed to touch people’s hearts and motivate them to action to end homelessness. Success in Housing: How Much Does Criminal Background Matter? Is someone’s criminal background an indicator of their ability to maintain stable housing? Aeon, Beacon Interfaith Housing Collaborative, CommonBond Communities, and Project for Pride in Living, set out to answer that question. On February 26th, join these organizations at the Wilder Foundation to find out what was learned about the impact of a criminal background on individuals’ chances at housing success. RSVP deadline: Tuesday, February 19. RSVP and additional details: Success in Housing. A goal that once seemed unattainable — securing safe and stable housing for every veteran known to be homeless — is now within reach. Read more HERE. Attend one of the many events above! #6: Homeless Day on the Hill is next week! Homeless Day on the Hill is next week! 1) Find your legislator & district! Simply input your home address! 2) Register for Homeless Day on the Hill! (You can sign up your clients too!) Please let me know if you will be there! 3) Read your District Profile for more information about homelessness and housing in your neighborhood! 6) Dig into the Homes for All Legislative Agenda! Want to know more about the funding and policies the coalition is fighting for? Check them out! Can you volunteer at Homeless Day on the Hill? The Minnesota Coalition for the Homeless needs volunteers to help register people as they arrive! 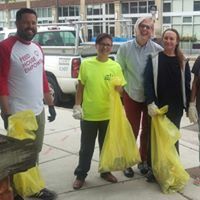 If you are interested in volunteering, you can click here to read through the tasks and sign up for the one(s) that work(s) for you. They are using SignUp Genius to help them organize and communicate. You will need to create an account, but it’s simple and free.. If you have any problems with the sign up, contact Barbara atVolunteer@MNHomelessCoalition.org. Put this show on your calendar! zAmya Theater works with residents at The Salvation Army’s Harbor Center to create a new show about homelessness to premiere at Hennepin Theatre Trust’s 900 Hennepin. March 5 | Affordable Housing in Minneapolis: What’s Next? Join the League of Women Voters for the next Civic Buzz event, free and open to the public. Speakers include Eric Hauge, Director of HOMELine, and MHP board member Andrea Brennan, Director of Housing Policy and Development for the City of Minneapolis. The event will increase awareness and dispel myths about homelessness and will bring together a socially diverse audience. A donation of $20 is recommended. Ticket proceeds will benefit The Salvation Army’s Harbor Light Center. No one will be turned away due to inability to pay.